Newport Beach Skin Care Center offers a wide-range of treatments. The Laser Genesis procedure utilizes non-invasive laser technology to safely, discretely and effectively plump rejuvenate the skin for a firmer, more youthful finish. This preventative and corrective treatment kick-starts collagen production to diminish fine lines and wrinkles. The sensation of the Laser Genesis procedure is often compared to the feeling of sun drops on the skin. By gently heating the upper dermis well below your skin’s surface, Laser Genesis stimulates collagen regrowth which, over a series of treatments, can smooth skin and shrink pore size. Additional heat is generated in dilated capillaries to reduce redness commonly associated with Rosacea. It safely treats active acne, acne scars, uneven skin tone, rosacea, and enlarged pores. Call (949) 335-7546 for a complimentary consultation. Imagine a treatment that can treat fine lines and wrinkles, and improve textural irregularities all in one sitting. Now, imagine you can achieve all this in a treatment that requires little- to-no downtime and is clinically proven for ALL skin types. This is the latest option in reducing the signs of aging. With minimal downtime and disruption to the skin, the Sublative reduces the signs of mild to moderate wrinkles in as little as two treatments. This treatment can be used as an alternative to fillers and injectables. Sublative Rejuvenation by Syneron is one of the hottest, most revolutionary and affordable skin rejuvenation treatments in today’s cosmetic market for anti-aging and rejuvenation procedures. This procedure uses bipolar radio frequency (RF) technology. This rejuvenating technology significantly reduces wrinkles, all types of skin imperfections, texture irregularities, and more. Proven in clinical trials, Sublative Rejuvenation provides deep dermal heating through RF energy. Clinical trials revealed that 83% of patients experienced significant improvements in skin brightness and 90% had significant improvements in skin smoothness and wrinkle reduction. Call (949) 335-7546 for a complimentary consultation. Say goodbye to unwanted hair with quick, simple and virtually painless Laser Hair Removal. Laser hair removal is an alternative to other methods, such as waxing, electrolysis and shaving. Clients can benefit from laser hair removal treatments on virtually any part of the body that their RN finds them a candidate for. In our center we use state of the art Syneron lasers, which safely and effectively remove unwanted hair with a diode lasers which is the safest available even for darker skin tones. Call (949) 335-7546 for a complimentary consultation. Tired of covering your legs because of embarrassing spider veins? You are not alone. Millions of people suffer from unsightly spider veins on the legs and face. In a matter of minutes, the highly qualified nurses at our office can treat your unsightly veins safely and effectively. We are proud to offer the newest technology in laser vein removal. No more painful injections. Our laser vein removal system can treat men and women of all skin colors. This treatment is non-invasive and allows you to return to your normal activity the same day. What are spider veins? Spider veins (telangiectasias) are thin, wavy, reddish-purple veins on the face and legs, often clustered on the thigh or below the knee. Spider veins affect as many as 80% of all women and a large percentage of men as well. Although spider veins are not usually a medical problem, they may make you self-conscience about your appearance. Varicose veins are normally wider and may be raised with a bluish color. These veins may be related to a more serious vascular problem and should be evaluated by your doctor. Call (949) 335-7546 for a complimentary consultation. Micro-Needling is a new innovation in aesthetic medicine for the treatment of the appearance of fine lines, acne scars and the improvement of the skin’s texture, tone and color. During this procedure, the MicroPen is used to create controlled micro-injuries to the skin in order to aid in the production of collagen and elastin. The skin’s repair process results in a thicker epidermis with a softer appearance of wrinkles. Reduction in the appearance of fine lines, wrinkles, improved skin tone and texture and softer, younger-looking skin with fewer signs of aging. Micro-Needling can also improve the appearance of hyper-pigmentation as well as uneven skin tone, acne scars, traumatic scars and stretch marks. Immediately after your treatment, you will notice a bright redness to the skin. The total healing time depends on the depth of needles used and the number of overlapping passes your skin care professional performs. On average, patients are red for 2-4 days. Some patients heal completely in 24 hours. Patients notice an immediate “glow” to their skin. Visible changes to the skin develop over the course of several weeks. Results can continue to improve up to 6 months after the treatment as collagen production continues. Call (949) 335-7546 for a complimentary consultation. One 10-minute treatment—a few tiny injections—and within days there’s a noticeable improvement in moderate to severe frown lines between the brows, which can last up to 4 months. As skin becomes less elastic over time, repeated facial expressions create visible lines and wrinkles in the forehead, frown lines, and around the eyes. Botox® is a purified protein that temporarily relaxes the muscles that cause these wrinkles to form and prevents the formation of new ones. This procedure takes only minutes and within days you will see a marked improvement. To maintain your youthful appearance, two to three follow-up treatments are recommended throughout the year. Results may vary. Call (949) 335-7546 and schedule your Botox® treatment today! Dermal fillers help to diminish facial lines and restore volume and fullness in the face. Dermal fillers can be used to: plump thin lips, enhance shallow contours, soften facial creases and wrinkles, Improve the appearance of recessed scars. Juvederm™ Voluma™ is the latest of the Juvederm range of hyaluronic acid fillers specifically designed to restore volume in areas of volume loss. Common areas include the cheeks, cheekbones, and chin. Additionally, due to its versatility it is also suitable for adding definition to the jaw line, and works as a liquid face-lift. Call (949) 335-7546 for a complimentary consultation. 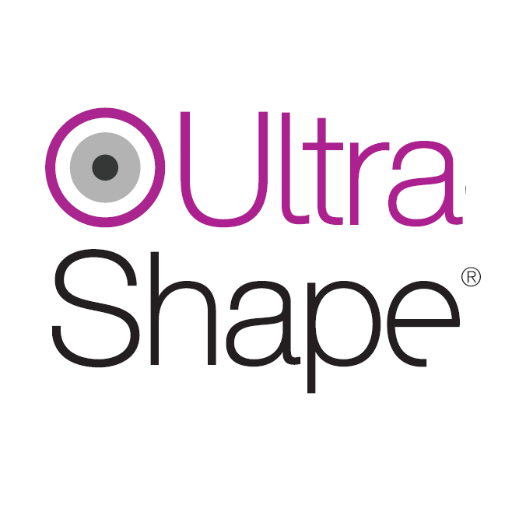 ULTRA SHAPE Fat Removal Ultrasound is the latest non-invasive, non-surgical procedure that uses ultrasound to eliminate fat and reduce body circumference. It has been cleared by the FDA for abdominal circumference reduction by mechanical disruption of fat cells. While this treatment has been recently introduced in the U.S., hundreds of thousands of patients have already been treated in over 50 countries. The procedure has also been supported by a peer-reviewed multi-center clinical trial and other clinical studies of over 600 patients. The FDA-cleared Sublime™ treatment offers virtually painless and fast treatment for wrinkles and skin contouring and tightening. Conventional skin treatments are time - and treatment - intensive and often too painful for many patients. With Sublime™, your patients can have firm and contoured skin without surgery. Sublime™ is ideal for targeting those telltale signs of aging, including sagging under the eyes, saggy brow lines, and nasolabial folds. Call (949) 335-7546 for a complimentary consultation. The face is the primary focus for many cosmetic procedures; however, frequent exposure to the sun and the natural aging process can affect your hands as well. Over time, our hands lose their fullness, making veins appear more prominent and the hands look bony. Brown spots can also occur from spending time in the sun. At NBSCC, we have a simple and effective solution that will quickly restore volume to your hands and lessen the appearance of veins. The Radiesse hand lift is a new procedure that utilizes Radiesse to rejuvenate hands. Radiesse injections are frequently used on the face for long-lasting plumping and resculpting results. Radiesse is made out of calcium and phosphate ions, which are naturally found in human bone. Thus, Radiesse doesn't need to be tested on patients before it's injected: it's 100% non-toxic. Radiesse is most commonly used to fill facial wrinkles, plump lips, and reduce undereye circles. Results last between two to five years. Considering all of the benefits of Radiesse, it makes sense that it's the ideal injectable to use for hand rejuvenation. In addition to injecting Radiesse into your hands, we can also take even more steps to give you back your youthful hands. If you're concerned about age spots, chemical peels and laser rejuvenation can be a fine option. These procedures can be done in conjuction with the Radiesse hand lift. Call our office (949) 335-7546 to find out more about combining Radiesse with other anti-aging treatments. MV contains both Methio-nine and Choline in addition to B12 and multiple other vitamins. Clinical studies have shown that Lipo MV increases both fat burn-ing and fat metabolism, so only fat is lost not muscle mass. In fact, Lipo MV helps increase muscle strength by speeding up the me-tabolism and burning more calories. Vitamin B12 and Vitamin C are essential for helping to form new, healthy cells in the body, boost energy and metabolism. CoQ10 stimulates the production of energy at the cellular level, called mitochondria. It carries oxygen to the cell, which then produces higher energy in a form of ATP and increases metabolism. B complex is very important to help maintain healthy skin tone and hair. B5 is the most critical vitamin for hair growth. It aids the breakdown of sebum and excess oil in the scalp and benefits hair by increasing luster, aiding in moisture retention, and increasing elasticity. It helps to thicken hair and prevent the growth of grey hair. B5 vitamin also stabilizes the skin barrier function, reduces the amount of water lost through the skin, improves its softness and elasticity, moistur-izes, soothes, heals and regenerates the skin. B5 is also great for people with acne. It breaks down sebum and excess oil in the skin which reduces acne and pore size. Unlike a spa facial, our Medically Enhanced Facials are purposefully designed to treat your specific concerns and problems. Offered as an advanced approach to skin care therapy, enhancing tone, texture and appearance of your skin. Upon arrival your appointment will start with an advanced 3D skin analysis by one of our trained medical aestheticians and a customized treatment plan will be formulated according to your specific skin needs. Treat yourself to a brand new pampering experience that’s all for you, with a custom medical grade facial treatment tailored perfectly to your needs. Created for the person on the go, this customized facial is uniquely designed to give maximum results in minimum time! Includes cleansing of skin, toner, steam, exfoliation, light extractions, moisturizer and sun protection. Treat those painful, embarrassing ingrown hairs and give your pores the ultimate deep clean with our powerful just-for-men facial. Leaves your face feeling smooth and healthy. Pacify your peach fuzz and roll back the clock on those fine lines all at once. Dermaplaning instantly fights facial fuzz and exfoliates to shrink your pores and fade fine lines. This treatment helps the products you’re using at home to absorb faster, primes skin for chemical peels and creates an overall healthier, more radiant appearance that will have you leaving our office glowing! Microdermabrasion offers the ultimate in exfoliation, gently clearing clogged pores and eliminating dead skin cells to rejuvenate your complexion. Perfect for not only the face, it works wonders on the neck and upper chest so you can confidently wear your favorite blouse—no matter how low cut it is. When combined with an IPL PhotoFacial, you’ll swear your skin went back in time! A luxurious‏ treatment that infuses oxygen, stem cells, peptides and high concentration of enzymatic botanicals into the skin to leave skin luminous, refreshed and rejuvenated in just one application. A NBSCC favorite treatment for day-of events. Chemical peels use agents to peel the outer most layer(s) of skin, allowing newer healthier skin to present itself. Peels can be an individual procedure or a step in multifaceted treatment. We offer a number of different peels with different peel strengths suitable for all skin types. All peels come with a home after care kit. This four layer facelift will leave your skin rejuvenated and revitalized! Vitamin C, glycolic acid and gentle but highly active enzymes speed up cellular turnover and brighten, tighten and lighten your skin in just one treatment. This is a fantastic step up for someone who has had experienced regular facial treatments but is looking for something more! Our strongest peel offered! REVEPEEL™ is used for a variety of conditions including Acne Scars, Melasma, Fine Lines, Wrinkles and Severely Damaged Skin. REVEPEEL™ can be used on the face and hands as well as other areas of the body. Results can be seen after just one treatment but a series of 3 is recommended for maximum results. Downtime is anywhere from 5-7 days. Our reconstructive permanent makeup artists are here to enhance your natural beauty. Using organic and 3D design techniques, we offer permanent makeup application for cosmetic and reconstructive purposes.